In any modern website designs, you can find that CSS3 is used. CSS3 Save a lot of time when developing and it is also plays a role for reducing page loads. Thus, the web becomes faster & responsive. Designers are now experimenting with new possibilities of CSS3. 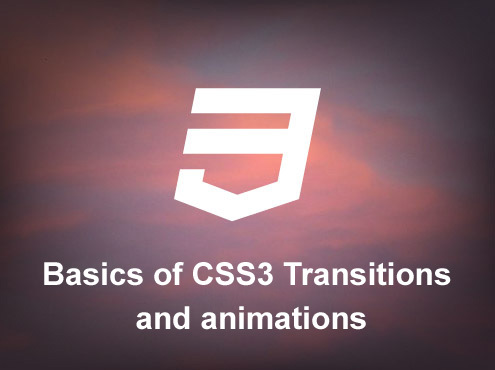 Before going to the advanced level, let’s create some basic CSS3 transition and animation tutorial for those who don’t know about it. transition-duration : Defines the length of time that a transition takes. Let’s move an object from one place to another using CSS3 Animation. You may see this effect in most recent sites. You can do it in a simple way. Hope you got the basics. You can do many things with CSS3. This is just basic. You can find more articles soon. Subscribe to our newsletter for Updates. Freelance Web & UX Designer from Incredible India. I design and develop creative websites, landing pages, and applications for startups and enterprises. In your inbox, every other week. And unsubscribe in a click.